Here’s a simple (for beginners) chord comping arrangement of Besame Mucho, a Bolero composed in 1940 by Mexican songwriter Consuelo Velázquez. The most famous jazz guitar recording of Besame Mucho is on Wes Montgomery’s album Boss Guitar. well presented the blue against the beige. Thank you for this Dirk!! Hello Carlos, you’re making a very good observation. What’s actually ocurring is that he’s playing the first 2 eigth-notes as “swing eights”. (If you’re not familiar with the term, it means that the 2 eigth-notes are played as the 1st and 3rd note of an eigth-note triplet. This is stylistically not correct, since this song is a bolero and the bolero uses only “straight eighths”. I have a latinjazz group and the bolero is one of the styles that we play. If you would like to here several examples of them, go to youtube.com/rcamelia and click on any “bolerojazz”. Hello roderick ,what sounds in the demo,are not a swing feel,listen carefully,they are what i said before. I am very sure of this,i know perfectly what is the different of a swing feel , based on triplets , and what is a sixteen notes feel,used in this case,they are very close,but they are different. You can go also to my youtube , youtube/camarasaurus . ANd i have seen right now that Dirk did the correction very well. Well done Dirk, now is perfect. Always appreciate these. Best lessons anywhere. I don’t read music as others more formally schooled might, so tab with notations are huge benefit. Thank you! I REALLY enjoy this lesson! Good job! And like Gerard, I appreciate the tab since my reading abilities still leave a bit to be desired! Again, thanks! This was on my list of songs to learn. Nice arrangement, just teaching it to my son! I don’t play Besame Mucho often, but when I do, I drink Dos Equis. cool – what is the best way to print this out? Very nice, is there a way to add the melody line overtop? Maybe that would make it too complicated. these types of lessons are great! Thank you so much for providing something for people at all different levels of ability. One question (very basic, and should be obvious, but I struggle with this – sorry), what key is this in? Is it Am? I am a profesional musiciam and teacher in Music and guitar and i like this page to use it like examples and lessons for my students , and i recommend them to come here to see the very good stuff you got here.You are doing a great job Dirk,thank you for your work. Enjoyed playing along with this very much – Many thanks. I really appreciate how you display your lessons. I have a teacher who I receive guitar lessons from each week, but I find that even though I have been reading music on both the guitar and saxophones, the way you illustrate the tabs help me with tab reading. Thanks again! 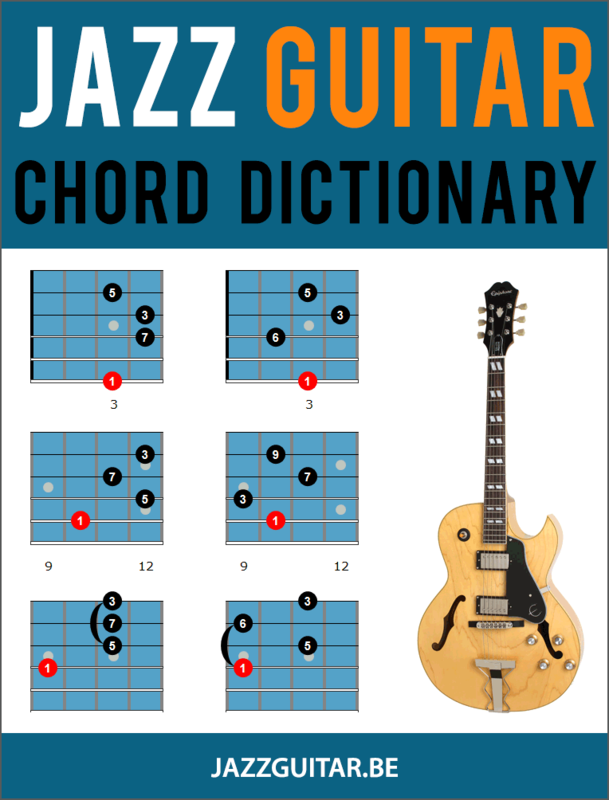 Great lesson,I had to break it down to 1, 2 and 4 bar phrases to get the picking pattern down and then apply it to other chord progressions I know,which made learning this lesson easier.Thank you for all these cool chord comping etudes. Fabulous! I had enough on my plate when you first emailed me about it that I deferred working on it. But I’ve come back to it and am very glad that I did.